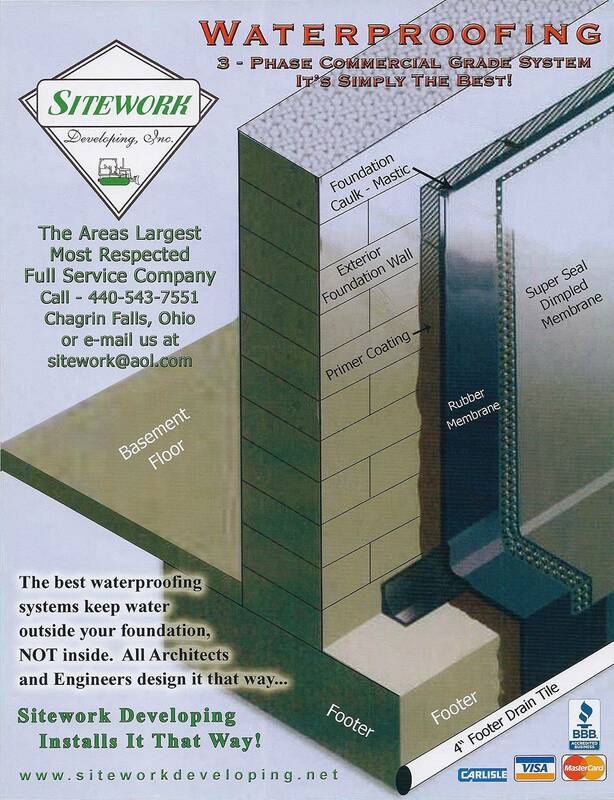 Residential Home Waterproofing | Sitework Developing, Inc. 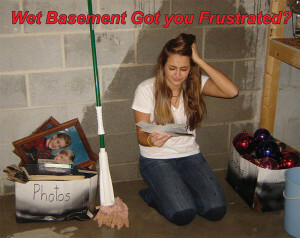 Wet Basement Got You Frustrated? 1. First, we put a Camera Snake in your pipes and footer tiles to find the problem. 2. If clogged with dirt, we'll water jet them clean. If it's roots clogging the pipe, we'll cut them out with a power cutter snake. 3. If the pipes are broken, we'll know the exact location to dig and repair. Only if these are eliminated as the cause, may basement waterproofing be needed. As your home ages, the basement waterproof system breaks down and becomes more vulnerable to water penetrating through the walls. 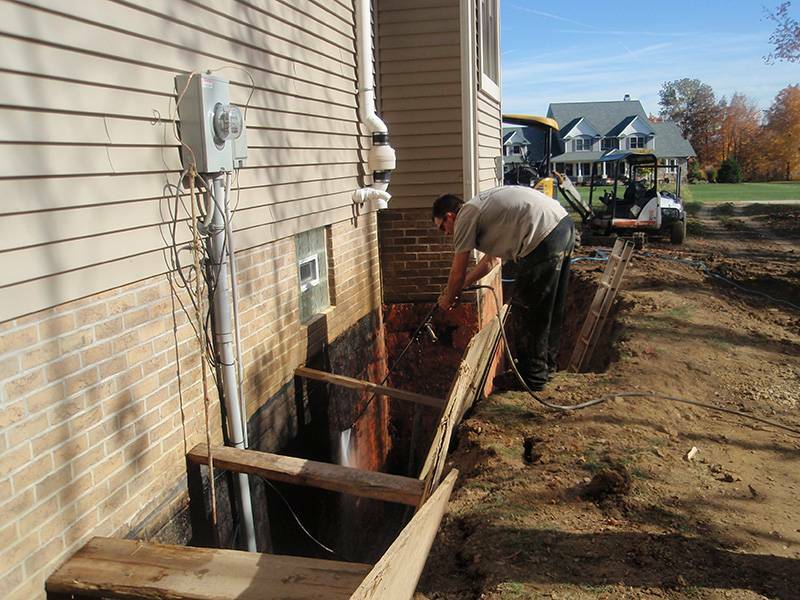 Sitework Developing Inc. has prepared a list of repairs that can be done to possibly alleviate a wet basement before you go through the expense of a complete waterproof system. 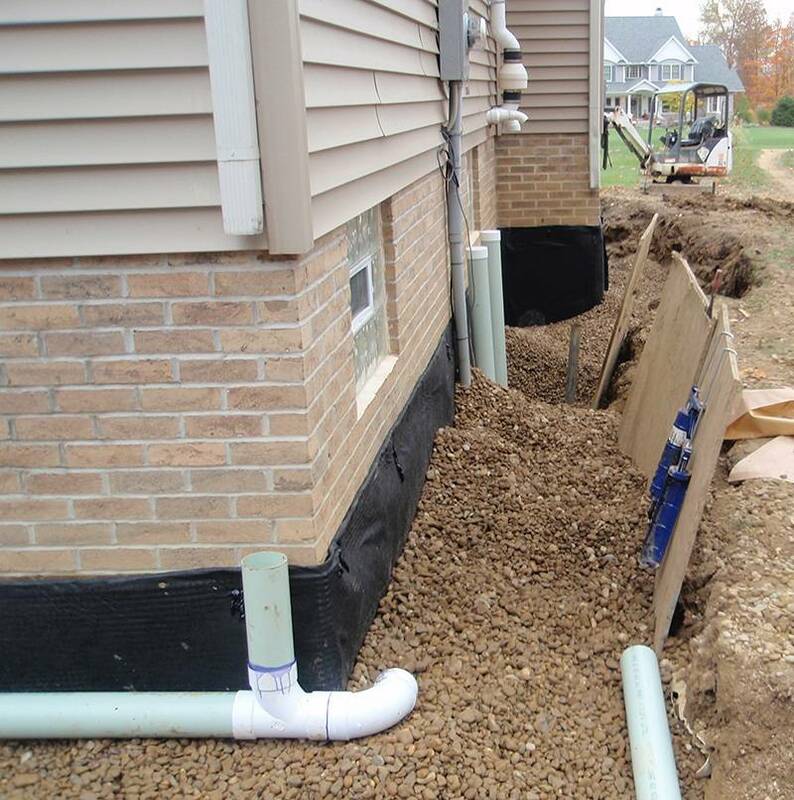 The first requirement for a dry basement is good (positive) drainage away from the foundation. 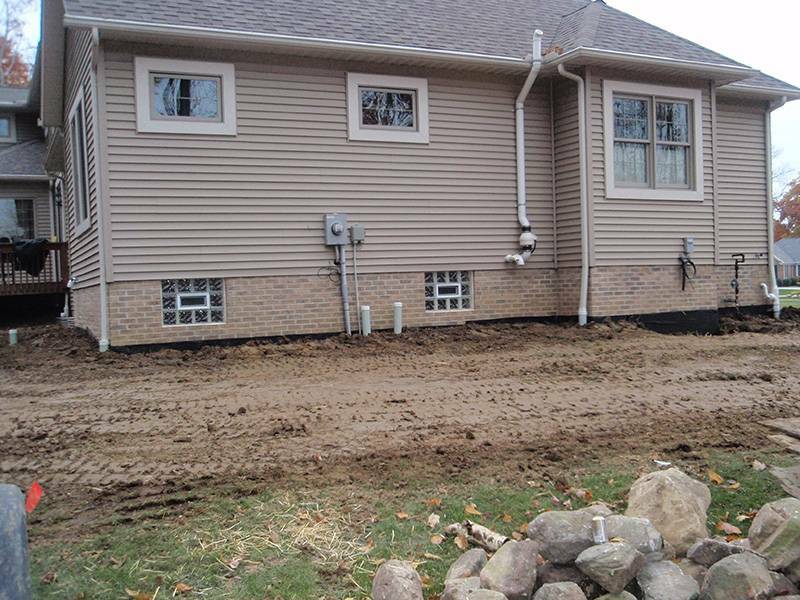 Soil is sometimes added to low areas along foundation or drainage can be installed to intercept water before it can penetrate the foundation. Plugged up gutters can cause big problems when water overflows directly along the foundation walls. These problems are very easy to spot and inexpensive to repair. Broken downspout piping underground can be a little bit tougher to inspect. Sitework uses a device called a camera snake that is pushed through the piping system. this camera snake sends a picture back. to a color television monitor that shows us the exact condition of the piping system and any crushed or broken pipes that may be leaking into the basement. This device also shows us the exact location and depth of pipes to be repaired, minimizing the amount of excavation required to repair the pipe. 99% of the homes in our area have footer tiles. These tiles (perforated piping) were originally installed by the home builder to keep the water table (along the outside of the basement) below the basement floor. The footer tiles intercept the ground water diverting it to an area that is lower than the basement floor or into a sump pump to be pumped away from the foundation. Many times these footer tiles need cleaning. When the tiles are plugged up with roots, a power cutter snake is used to cut through and remove roots. Other times the footer tiles may be plugged with dirt or silt. In this case, we use a device called a jet snake that uses high pressure water to blast out dirt and debris. The most common problem we find is the main storm is smashed, plugged, or broken. During a heavy rain, all the downspouts and footer tiles run into one main pipe that is supposed to exit the property somewhere. 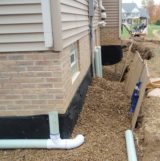 When this pipe is not functioning properly, all the downspout water backs up around the exterior of the basement walls or comes up through the floor drains. This problem can usually be repaired the same day as the diagnosis. Last, but not least, is the total breakdown of the existing waterproof system. After years of exposure to extensive moisture (usually caused by Items 1 through 4), the old waterproof system and foundation begins to break down. At this point, installing a complete waterproof system is usually the only alternative. THE BEST WATERPROOFING SYSTEM IN THE INDUSTRY! Compare our system to any other waterproofing out there. "There just isn't any better system"
We offer full storm flooding clean up from carpet water extraction to removal of damaged materials and items.